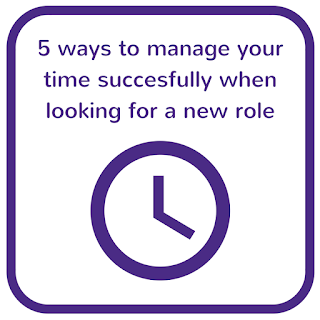 Louisa Fleet Recruitment : 5 ways to manage your time successfully when looking for a new role. 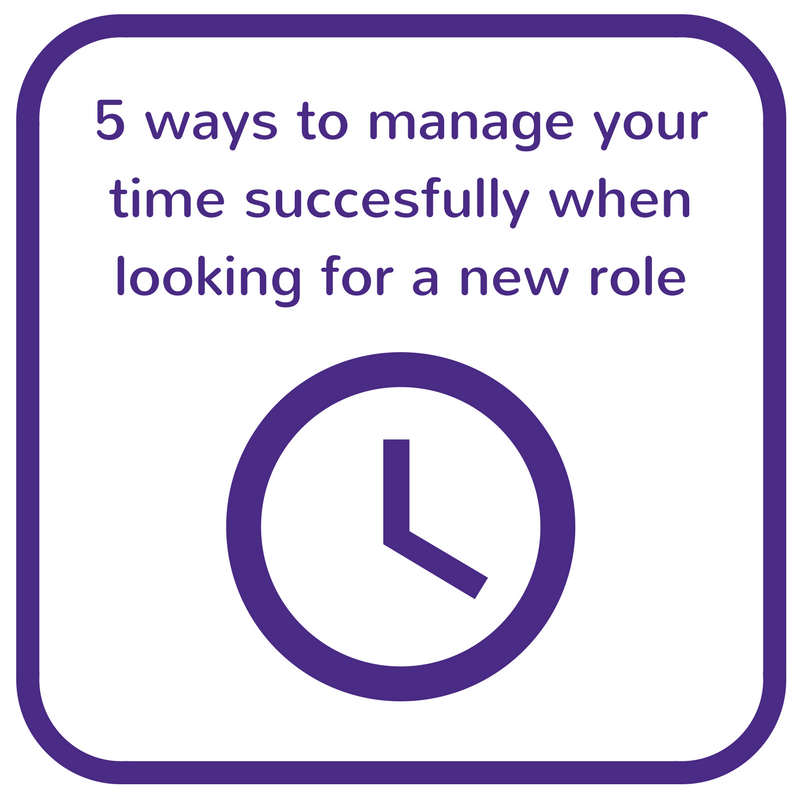 5 ways to manage your time successfully when looking for a new role. Something we can all be great at in the office, but in our time? Focusing can be, well, tricky. There is so much distraction around, time is always running out, mini crises pop up all over the shop, and trying to fit in more than the norm can be a challenge. When you are looking for a new role, and you already have a full time job, plus social and life commitments – it can be a bit of a nightmare. For many candidates I work with, the biggest problem they find when looking for a change in their career is finding the time to do so. Suddenly everything can be a distraction. So, this blog is about how to try and manage your time effectively so you are still a top salesperson in your current role, but you have the time to seek a new one. Don’t look for a new job on your employer’s time, it’s crass, but likewise you don’t have to give up every moment of your life outside of work to job hunt. Plan in days to job hunt, sign up for e-alerts on the job boards so roles come to you rather than the other way around. Load your CV onto the job boards so recruiters can find you, and pick one to two evenings a week where all you will do is apply for roles. Remember to block out the next day’s lunch hour to follow up those applications with calls. See our tips for CV writing and job applications for more help on this! Like any task – ensure you are giving your job hunt your complete attention. Take some time to remove yourself from the kids, TV, or social media and solely focus on finding that next great opportunity. If you are short on time ensure you are working with a recruiter who understands what you are looking for and is committed to helping you find it. That way, whilst you are out selling all day, they can be in the office, speaking to clients and selling you! In this day and age so much of what we do is online. If you ensure at the start of your job hunt that your LinkedIn profile, Facebook, Twitter etc are all up to date it will save you time in the long run. Want to impress a potential employer with customer testimonials? Ensure they are up to date on LinkedIn and simply send a link. Want to know who is hiring? Simply follow their career streams on their social networks. A bit of social activity at the start of your hunt can help in the future. Looking for a role can be exhausting and at times de-motivating. Be fussy about what you apply for, the machine gun approach isn’t always the most successful, but also take a rest from the search. If you have put your data online and have a recruiter on hand, it won’t hurt for you to step away from the applications for a while. After all you should have the tools in place to keep the wheels in motion. After a break, come back and carry on!